Idox is pleased once again to be supporting the RTPI Awards for Research Excellence for 2018. The awards recognise and promote high quality, impactful spatial planning research from RTPI accredited planning schools, and planning consultancies, in the UK, the Republic of Ireland and internationally. The 2018 Awards are now open for entries and will close on Friday 18th May. As the UK’s leading provider of planning and building control solutions to local authorities, Idox actively engages with issues affecting the planning profession. And here at the Idox Information Service, we see our core mission as improving decision making in public policy by improving access to research and evidence. 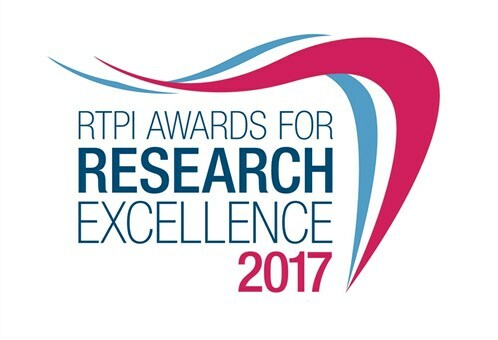 This is the fourth time that Idox has given its support to the RTPI Awards for Research Excellence. The winner of the 2016 Sir Peter Hall Award for Wider Engagement Award was Dr Paul Cowie from Newcastle University’s School of Architecture, Planning and Landscape. Paul went on to write a guest blog post for us describing his innovative project, which uses theatre to engage communities in planning. Last year the award-winning research covered a diverse range of topics – from a study in London’s Tech City looking at the spatial conditions that mediate and support the operation of digital industries in inner-city locations, to research into commuter flows in the United States to aid identification of large-scale “megaregions”. Meanwhile, Lichfields won the Planning Consultancy Award for a study analysing the lead-in times, planning period and delivery phases of large-scale housing sites. In 2018, Idox is pleased once again to be sponsoring the Student, Wider Engagement and Planning Consultancy awards. Further details on the five award categories, application guidance and entry forms, are available from the RTPI here. The closing date for applications to the awards is Friday 18 May 2018. At this week’s Planning Research Conference, hosted by Queen’s University in Belfast, the winners were announced for the 2017 Royal Town Planning Institute (RTPI) Awards for Research Excellence. These awards recognise the best spatial planning research from the RTPI’s accredited planning schools, and highlight the implications of academic research for policy and practice. In addition, the awards recognise the valuable contribution of planning consultancies to planning research and promote planning research in general. Idox is proud to have supported the awards since 2015, and this year we sponsored three of the five awards. Juliana’s research explores the relationship between space and creative digital production in the Shoreditch area of East London. It seeks to identify the spatial conditions that mediate and support the operation of digital industries in inner-city locations. The prize for the winner of the Student Award is a one year subscription to the Idox Information Service and an iPad mini. The award-winning research provides a new perspective on the functional economic geography of the United States, drawing on data from more than four million commuter flows as the basis for the identification of large-scale “megaregions”. The prize for the winner of the Sir Peter Hall Wider Engagement Award is £350 towards one paid conference fee bursary to a practitioner or policy-focused conference. At the heart of Rachel’s research is a recognition that the need to deliver more housing requires an understanding of the length of time it takes for sites to come forward and the rate at which they deliver homes. Rachel’s research provides wide-ranging insight and analysis on the lead-in times, planning period and delivery phases of large-scale housing sites. The prize for the Planning Consultancy Award is one Planning Convention place and two one year’s individual memberships to the Idox Information Service. The full list of finalists in this year’s awards is available on the RTPI website, and information on past entries and winners is also available. In this 2016 blog post, Dr Paul Cowie, whose Town Meeting project won the 2015 Sir Peter Hall Award for Wider Engagement, reflects on the impact of winning an RTPI Award for Research Excellence. Here at the Idox Information Service, we see our core mission as improving decision making in public policy by improving access to research and evidence. So we are proud once again to be playing a part in the RTPI Awards for Research Excellence. The shortlist is available on the RTPI website. The winners and runners-up will be announced on 12 September during the 2017 UK-Ireland Planning Research Conference at Queen’s University Belfast. This is the third time that Idox has given its support to the RTPI Awards for Research Excellence. Information about previous award-winners can be found here.